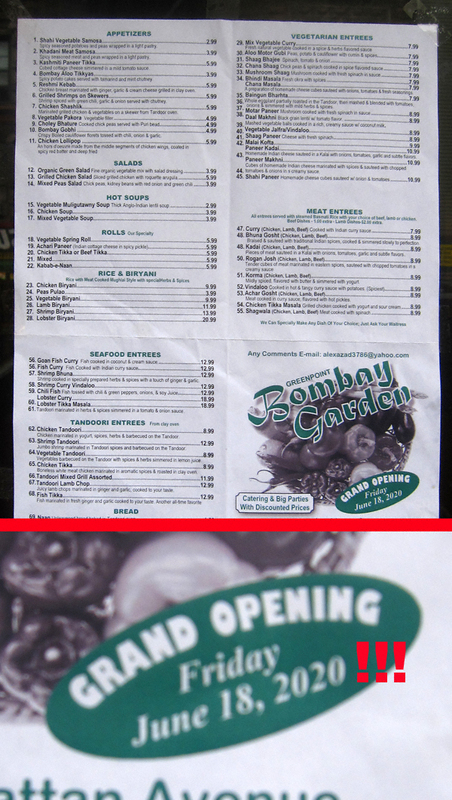 I have a confession to make: I have been casing this— Greenpoint’s first and only Indian restaurant— for weeks in the hope I would learn when they are going to open. Each and every time I have walked away disappointed. UNTIL TODAY! I’m going to go out on a limb here and guess that “2020” is a typo. Only one more week, folks! 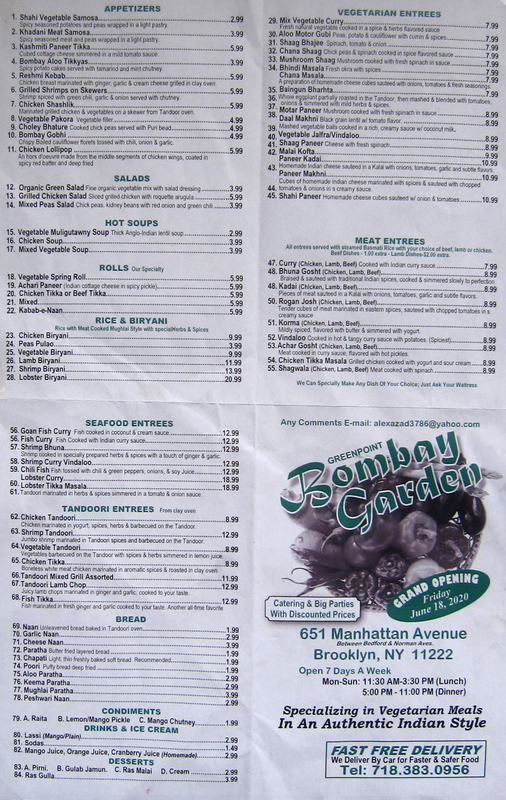 In the meantime you can peruse their menu by clicking here. Y E S! oh it is about time. so excited to have Indian food locally. so very, very excited. You must have forgotten about Imperial Palace. 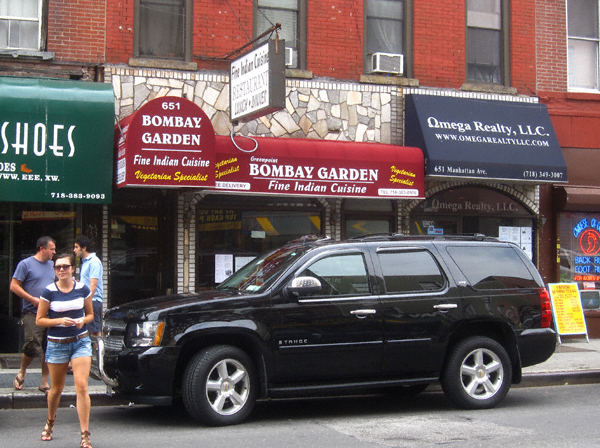 Unfortunately, I believe that IP and Bombay Garden are connected. If this is the case then steer clear. I think they serve Indian prisoners better food than they did at Imperial Palace. I *DID* forget about Imperial Palace. Thanks for the reminder! Otherwise, I suppose we’ll have to try it and see.